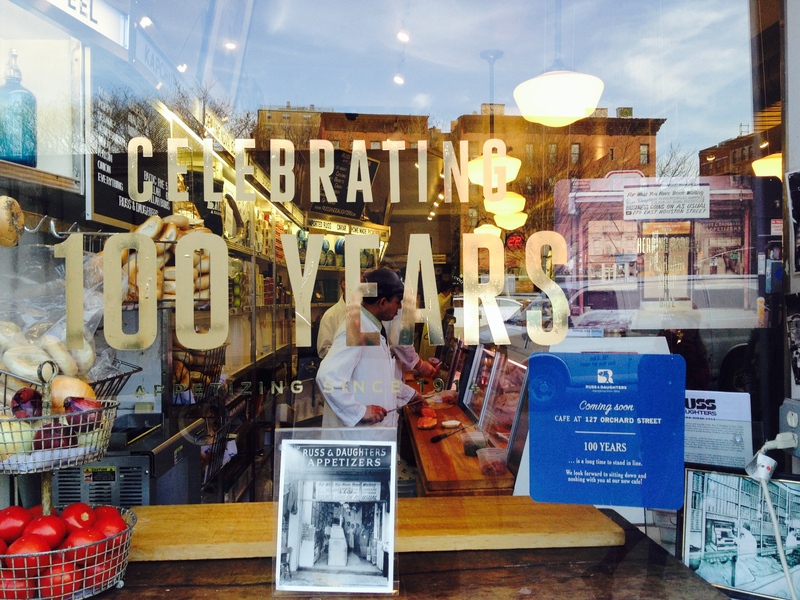 Russ and Daughters has the best selection of smoked fish, caviar, pickled herring , cream cheese, bagels and specialty foods in NYC and they have been selling these delicious goodies from the same store for 100 years. Just another reason I love living on the Lower East Side of Manhattan so much. I walk by their iconic store front almost daily (The Essex Street Market is a few blocks away and Whole Foods Bowery is just up the street). Like most things that are in your neighborhood and that you see regularly, especially the ones that have been there forever, you can easily start to take them for granted. A few days ago I notice the “100 Year” window and stopped to peek in. The unintentional selfie below was me trying to get a close up picture of the announcement in the window, the BIG news: after a 100 years of counter service, mail order and often long lines (the days before New Years Oy vey iz mir is it packed!) 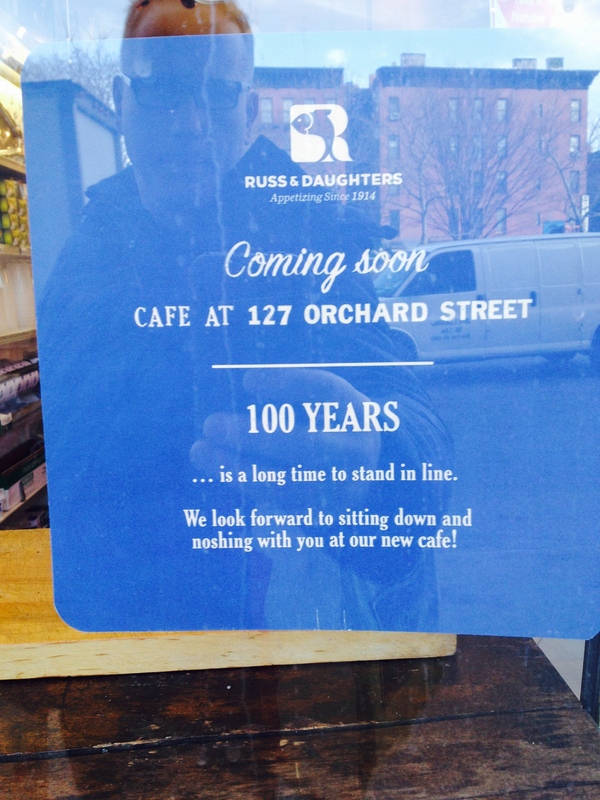 they are opening up a cafe!!!!!! And the really good news is that it is just down the street (even closer to our apartment, not that I want to gloat or anything, as I imagine the cafe will be just as popular as the store!). 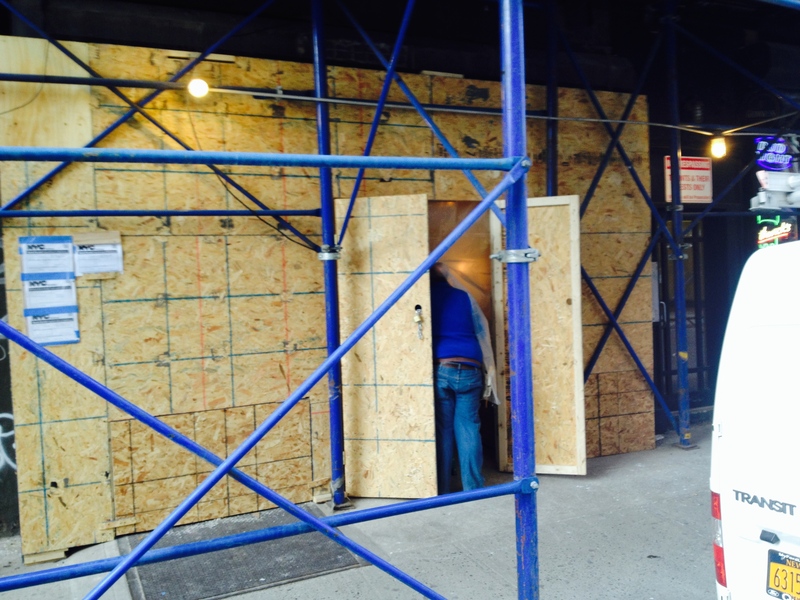 Here is a sneak peek at the cafe in progress at 23 Orchard just north of Delancey. Can’t wait and you know I will keep you posted! Can’t wait to have my first Super Heebster sitting down! 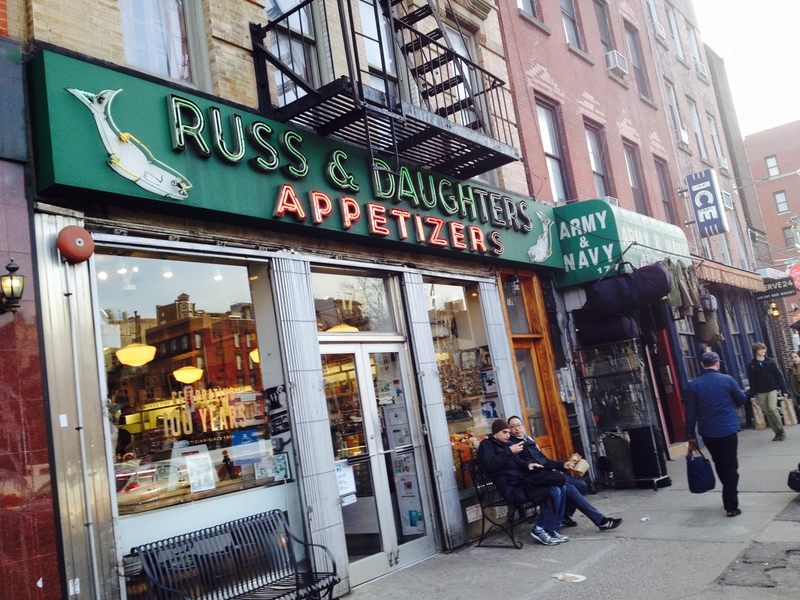 This entry was posted in NYC and tagged Lower East Side, NYC, restaurants, russ and daughters, smoked fish, The Essex Street Market. Bookmark the permalink.